“Pending stunning new developments, I believe the catalyst occurred in 2008. It’s a date that is looking better and better as time goes by. The year 2008 marked the onset of the most serious U.S. economic crisis since the Great Depression. It also marked the election of Barack Obama, which could yet turn out to be a pivotal realignment date in U.S. political history. In fact, if I had to give the catalyst a month, I would say September of 2008. The global Dow was in free fall. Banks were failing. Money markets froze shut. Business owners held their breath. 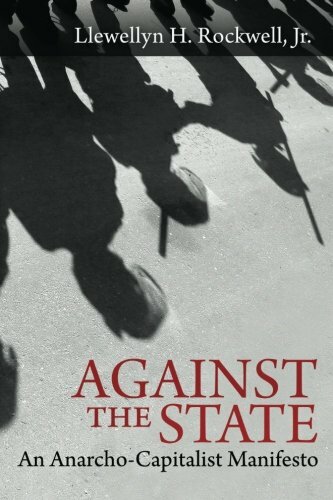 Against the State: An ... Llewellyn H. Rockwell Jr. Best Price: $4.43 Buy New $9.15 (as of 02:55 EDT - Details) The initial spark has triggered a chain reaction of unyielding responses by those in power, including: handing $700 billion of taxpayer funds to the Wall Street bankers whose reckless pervasive greed and fraudulent derivative products caused the worldwide conflagration, 0% interest rates for the last seven years, a quadrupling of the Federal Reserve balance sheet to $4 trillion through QE to infinity, government stimulus spending which increased the national debt from $10 trillion to $18 trillion in seven years, ongoing $600 trillion annual deficits, using fraudulent accounting to disguise the insolvency of the Too Big To Fail Wall Street banks, and a conscious choice by corrupt politicians and captured government regulators to not prosecute one criminal banker. None of these initial responses have solved any of our pervasive problems or averted further emergencies. Not only haven’t these responses resolved the intractable economic conundrums facing the world, but they have exacerbated the next round of monetary disasters rapidly approaching. Strauss and Howe predicted the initial catalyst event would not worsen into a full-fledged catastrophe because the powers that be would find a way to avert the initial danger and stabilize the situation “for a while”. 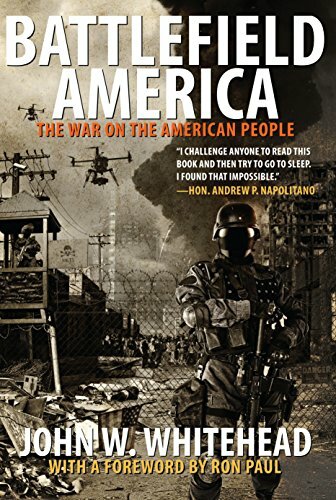 The key point was those benefiting from the existing corrupt world order would do whatever it took to temporarily forestall a calamity which would result in their downfall, loss of power, and ultimate imprisonment. They have successfully delayed the regeneracy phase of this Fourth Turning by turning on the monetary debt spigot full throttle. The Boston Tea Party catalyst spark occurred in December 1773, but the fireworks didn’t get going until 1775 and the regeneracy Declaration of Independence event in 1776. The Civil War Fourth Turning had no lulls. The catalyst election of Abraham Lincoln to the regeneracy event of the First Battle of Bull Run was only nine months. The acceleration did not allow for cooler heads to prevail. The result was ghastly death and destruction. The 1929 Stock Market Crash catalyst was followed by a three year lull until FDR’s election and New Deal programs marked the regeneracy. 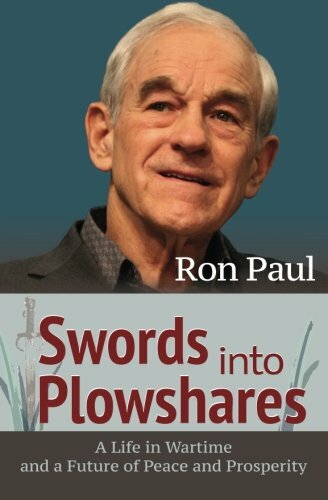 Swords into Plowshares Ron Paul Best Price: $4.31 Buy New $15.99 (as of 02:55 EDT - Details) In my previous four part article Fourth Turning – The Shadow of Crisis Has Not Passed written early in 2015 I attempted to explain generational theory, provided evidence we are still early in this Crisis, pondered the potential clash between the citizens and our debased, dysfunctional, captured government, and contemplated the kind of war which will thrust the world through the gate of history towards an uncertain future. 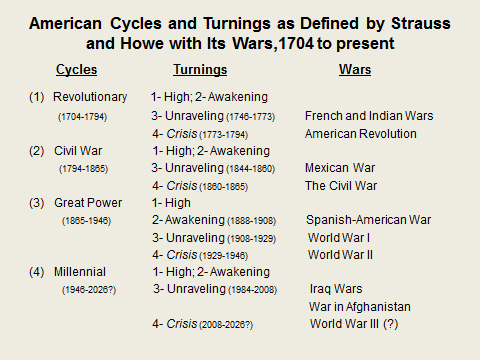 The misconceptions regarding generational theory and the Fourth Turning keep a vast swath of otherwise lucid thinkers from understanding the implications of generational mood changes which drive the cyclical nature of history. The cognitive dissonance and normalcy bias of most Americans blinds them to the lessons of history and leaves them vulnerable to the winter that has beset the nation. 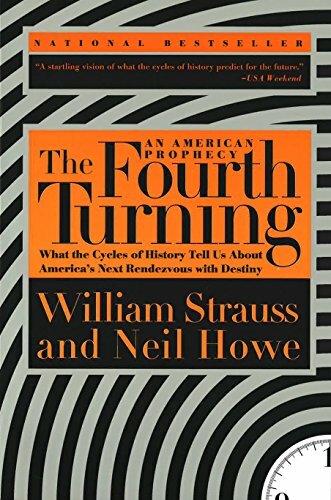 The Fourth Turning is not a prophecy or some Nostradamus like predictions. It’s a logical theory based upon the average time span of a long human life and the four phases of that life: childhood, young adulthood, mid-life, and old age. The interaction of generations during their phases of life is what produces the profound mood changes throughout history. The dramatic events during the course of antiquity are less important than how society responds to them. The reaction is substantially determined by the season of the saeculum and the generational mood that aligns with that season. We’ve entered the Winter season, with bitterly cold days ahead and intense blizzard-like conditions forecast for the next decade.